Ferrari 488 GTB Boot Space, Size, Seats | What Car? 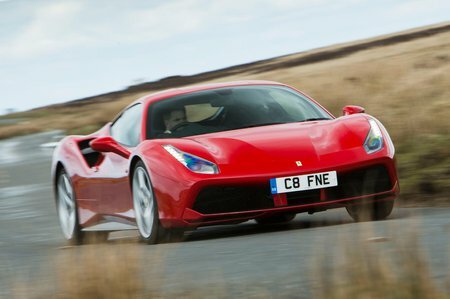 Of course, there are only two seats in the Ferrari 488 GTB, but there’s enough head and leg room for a couple of adults well over six feet tall, and they won’t be clashing elbows. True, there’s no luggage space behind where you sit, because that space is entirely taken up by the turbocharged V8 engine, but the 'boot' in the nose of the car is capable of swallowing a couple of overnight bags. Your golf clubs will need to take the place of your passenger, though. If you want a similarly quick supercar, but with four seats and more luggage space, consider the cheaper Porsche 911 Turbo S.